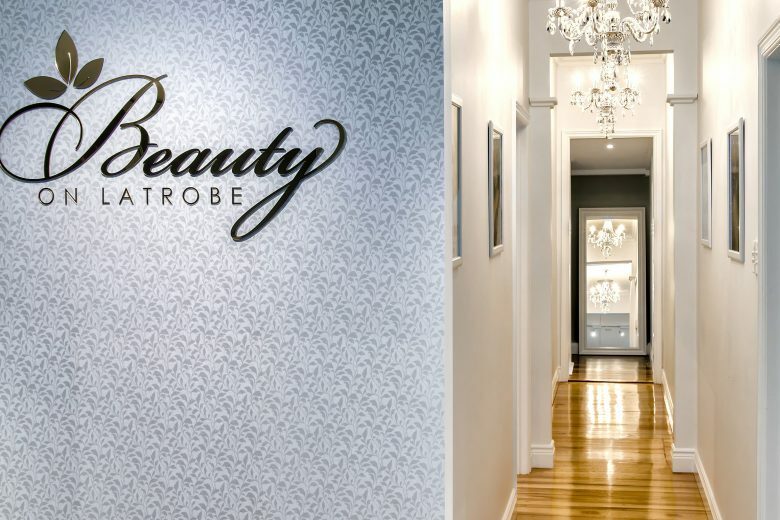 The award winning Beauty on LaTrobe in Brisbane has been reborn brighter than ever. When fire burnt Clare Lamberth’s thriving salon, Beauty on Latrobe in Brisbane’s Paddington, to the ground in 2013 she immediately began planning its rebirth. 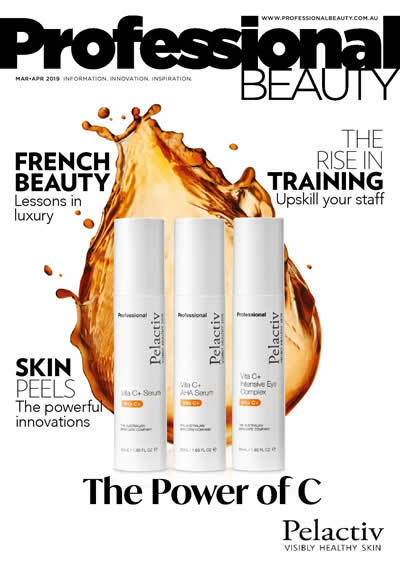 Three years on, business is better than ever, with the salon taking out Ultraceuticals’ top award for the second time. We talk to this inspiring woman. What industry experience did you have before starting your business? I was 23 when I took over Beauty on Latrobe, which was an existing business. I’ve been a beauty therapist for 16 years now and a dermal therapist for the past five. I’ve worked in many different areas of our industry including cosmetic counters and big salons to small salons, hairdressers and more recently I lectured in dermal therapy subjects with GrayClay Medical Aesthetics Education in Brisbane. Can you tell us about the fire that destroyed your salon? Just three months after winning Ultraceuticals’ National Clinic of the Year for the first time, our salon was broken into and a fire lit in our professional products cupboard. I was five months pregnant with our daughter. Although tragic, there was never a shadow of doubt in my mind that nothing but good would come out of this horrible event. I was determined to literally rise from the ashes and have my business come back even bigger and better than ever before. Beauty on LaTrobe owner, Clare Lamberth, accepts Ultraceuticals Clinic of the Year 2016 award from Ultraceuticals founder, Dr Geoffrey Heber and Ultraceuticals CEO, Olivier DuVillard. How did you rebuild your business? We were forced to shut for six weeks until we could reopen in a makeshift salon in the same complex…My team was amazing through the whole ordeal – standing by me, caring for our clients while I gave birth to my daughter with the future of my business still in limbo. As luck would have it, the property right next door to the burnt salon became available and I was given the incredible opportunity to upgrade my business to a gorgeous new home with better exposure and more space. I started project managing the fit out just four weeks after giving birth and on 16 October 2013 we moved into the Beauty on Latrobe we know and love today. The first 12 months after moving were the most challenging. I expected business to return to normal but this just wasn’t the case. We were like a brand new business and had to prove our worth and re-establish our relationships with existing and new clients. Being out of action with a new baby, having to hire and train extra staff, manage trades and develop a new business plan proved more difficult than I had ever expected [but] my business is now stronger than ever. After being burnt to the ground, there is plenty to celebrate at this beauty clinic. Why did you partner with Ultraceuticals? After studying cosmetic dermal science my eyes were opened to the truth behind real cosmeceuticals. I realised that a cosmeceutical that delivers real, visible results in our clients’ skin and can back its claims with in-house R&D and independent scientific studies was the best match for my business. Our clients have fallen in love with the results we have been able to deliver them and my business experienced over 200 per cent growth in retail sales in the first 12 months of exclusivity and this past year (four years later) our sales grew by 70 per cent on the year prior. Why do you think your business is growing while many others are downsizing or closing? I’d like to think it’s how we are captivating our clients each month that keeps them coming back. I’m continually meditating on how we do what we do at Beauty on Latrobe and how we can improve; surprising and delighting our clients in new and exciting ways. I want our clients to keep falling in love with us over and over again. I’m ruthless with our promotional calendar. If it works it stays and gets a makeover, if it doesn’t it gets ditched. I want our clients to receive value for money whilst maintaining the high standards I’ve worked hard to create. The Beauty on LaTrobe team. How important is training to you? Training and education is one of my biggest passions as a therapist, an educator and a business owner, and something I’ve instilled in my staff. The future of our industry is the knowledge and understanding we pass on to the upcoming generation of therapists under us. It’s a common fear that trained staff will get up and leave with their new and improved skills, but isn’t it more harmful to have an undertrained staff member treating your clients? I take pride in knowing that when any of my staff move on, I have helped elevate the standard of our industry just a little bit by providing their next employer with a better skilled and educated therapist than arrived to me. [I think] we will see the reemergence of the full service salon that provides great paramedical skin services, fabulous brows, a killer tan, the latest treatment technologies and cosmetic injectables in addition to the traditional beauty therapies. Clients have enjoyed the novelty of traveling to many different places for their individual services in the past, however we are starting to see more and more clients wanting everything in one place. One of the treatment rooms at Beauty on LaTrobe. Do you have any advice for other salon owners? Clone yourself. You can’t powerfully run your business to its true potential when you are stuck in a treatment room 40+ hours each week. Employ staff to do exactly what you do, exactly how you do it. Yes, it takes time but it is possible for someone else to love your clients equally as much as you do and help you make the money you went into business to earn in the first place. And finally, what do you love most about your job? I love the buzz of seeing my team succeed and smash the goals I set them, both as a team and individually. There’s no greater thrill for me than seeing a team member blossom and grow and respond to the training and development I’ve provided for them. I love being able to reward them when they’ve run with a task or goal I have set them. Beauty on LaTrobe became an exclusive stockist of Ultraceuticals after studying cosmetic dermal science.